Mayo Fuster Morell is the Dimmons director of research at the Internet Interdisciplinary Institute of the Open University of Catalonia. 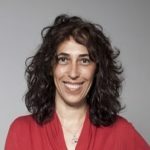 Additionally, she is faculty affiliated at the Berkman Center for Internet and Society at Harvard University, and at Institute of Govern and Public Policies at Autonomous University of Barcelona (IGOPnet). In 2010, she concluded her PhD thesis at the European University Institute in Florence on the governance of common-based peer production, and have numerous publications in the field. She is the principal investigator at UOC for the European project DECODE Building the next generation of cooperative data platforms for digital sovereignty. She was PI for IGOPNet of the European project P2Pvalue: Techno-social platform for sustainable models and value generation in commons-based peer production. She is also responsible of the experts group BarCola on collaborative economy and commons production at the Barcelona City Council. Adrià Garcia i Mateu collaborates with Dimmons around the topic of design for policy. He is a founding member of Holon, a design collective working to mainstream organisations leading the transition towards a planetary society. He’s currently also teaching transition design at several design schools, and facilitating a local network of social impact design schools too. Finally he is part of la borda de Can Batlló, Barcelona, one of the few local urban housing cooperative of shared ownership. He holds a MSc in Leadership towards Sustainability from Blekinge Institute of Technology, Sweden, and a degree in Design, specialising in service system design for sustainability by Eina School of Design and Art of Barcelona, Catalonia. 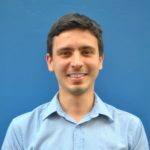 Enric Senabre Hidalgo works at Dimmons as PhD candidate connecting collaborative research practices with design thinking methodologies and agile frameworks. He’s currently Research Fellow at CECAN, University of Surrey. 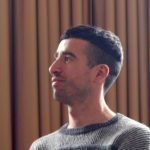 Previously he was an active member of Platoniq collective, co-founder and project manager at the platform Goteo.org for civic crowdfunding, where he specialised in facilitating collaborative knowledge management, learning methodologies and co-design strategies for civic impact. 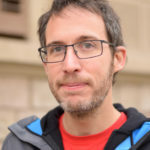 He has been vice-president of the Observatory for CyberSociety, project manager of the Innovation and the City Area at Citilab-Cornellà, and associated professor of software studies at the Open University of Catalonia, where he holds a Master’s Degree in the Information and Knowledge Society. 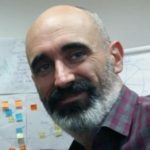 He’s a certified Scrum Master by the Scrum Alliance, a facilitator role he has been implementing for different international projects, like Europeana Creative or the Connected Action for the Commons network (European Cultural Foundation). 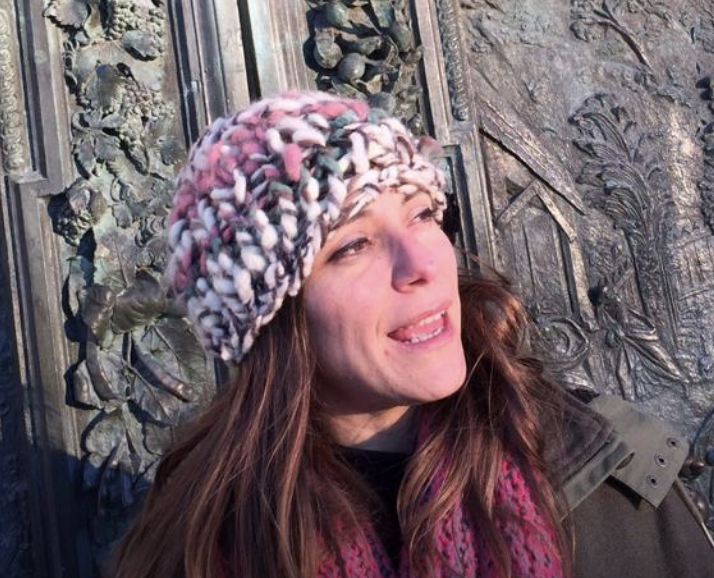 Vera Vidal is a PhD candidate at Dimmons, working on sharing cities, focusing on Barcelona. Previously, she worked for OuiShare Paris on the Sharitories study, on sharing practices in mid-sized cities across Europe, and was the scientific coordinator of the Global Cities chair, directed by Saskia Sassen and Richard Sennett, at FMSH. She holds a Masters in Management from Audencia School of Management, and a Masters in Social Sciences from EHESS. 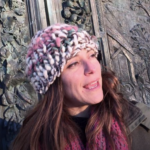 Núria Valero works at Dimmons around the topic of Sharing Cities, coordinating the participation of the research group in the Sharing Cities Task Force, a join action with Barcelona City Council. Her background is in engineering. Atfer working 7 years in technical & strategic consultancy for companies and public administration at local and international level, she spent 3 years in innovation and entrepreneurship. 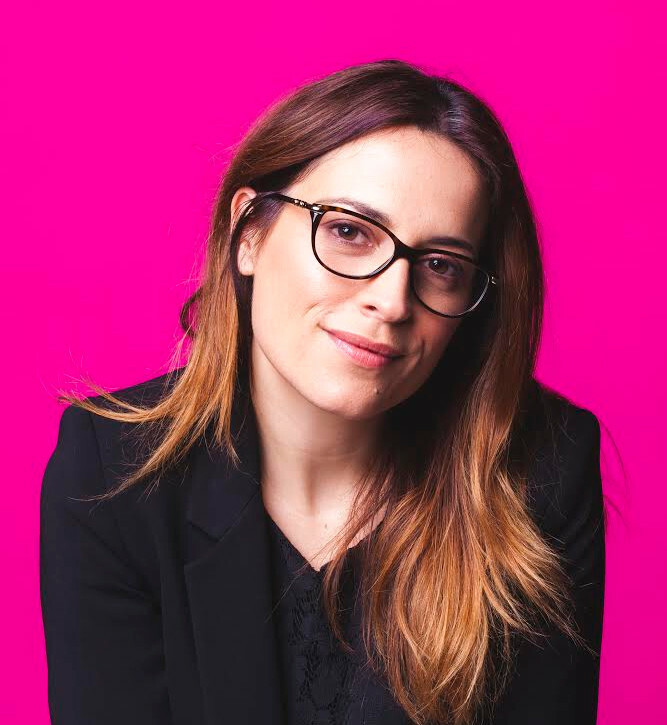 Núria is passionate about social and economic changes, the digital transformation we are living and its impacts around the platformisation of work, the gig economy, and the uberisation of economy. Linked to different groups around Sharing Economy. Melissa Renau Cano is a research intern at Dimmons. Her main research interest is to study how social and technological innovation can contribute to lessen social and economic inequalities. She is both a master’s student of Sociology at the University of Barcelona and a student of the Micromasters in “Data, Economics, and Development Policy” at the Massachusetts Institute of Technology. She holds a Bachelor’s Degree in Business Administration at Universitat Pompeu Fabra. Her final degree thesis “Social Blockchain Rrevolution” was awarded the first position in Aracoop 2017 prizes. She truly believes that social science research can have social impact on society and wants to contribute to this end. Mireia Manjón works on the digital communication strategy of the Sharing Cities Summit at Dimmons. 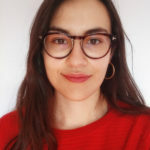 She has a degree in Communication and Cultural Industries (Universitat de Barcelona), where she completed her thesis on cultural producers’ integration of citizen participation. She also holds a postgraduate degree in Cultural Event Management from the UOC. She has been involved with communication and production tasks for several cultural projects and cultural institutions from Barcelona. Today she is also responsible for written content for CCCB’s Kosmopolis Festival within the CCCB Lab Department. 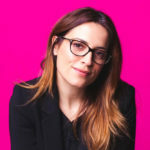 Monica Bernardi is an urban sociologist, Ph.D. in Information Society, Research Fellow at the Milano-Bicocca University, Department of Sociology and Social Research. Her main research focus are smart city, sharing city, social innovation, sharing economy and the governance models that favor the creation of a sharing ecosystem in the urban tissue, with a special focus on the role of the public administration. During the Ph.D. she deepened the topic of the sharing economy investigating its evolution and features, and she studied the governance model implemented in the creation of a sharing city, analyzing the case of Milan and Seoul. Freelancer editor for LabGov/Urban Media Lab on the topic of the sharing economy; member of the “Register of Experts and Operators of the Sharing Economy in Milan”, Municipality of Milan, Milan Sharing City Project; member of the association “MilanoIN. Innovare X Includere”, laboratory of public policies. 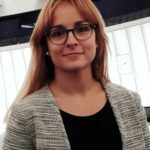 Sara Moreira is a PhD candidate on Information and Knowledge Society at the Internet Interdisciplinary Institute of the Open University of Catalonia (IN3/UOC). 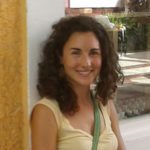 Her research focuses on the communicative ecologies of commons-oriented organizations and alternative economies in Portugal and Catalonia, and is hosted by the Dimmons research group and the Institute of Sociology of the University of Porto, and funded by the Portuguese Science and Technology Foundation (FCT). 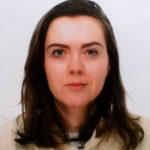 She holds a Master of Science in Computing and Informatics Engineering from the University of Porto and has previously worked as an editor, data-journalist, projects manager, webdeveloper – among other training and consultancy roles in Portugal, East Timor, Mozambique, and globally. 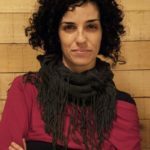 She is an active commoner within grassroots initiatives in Porto dedicated to agroecology, collaborative consumption, and community media. 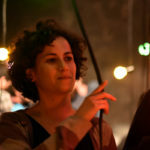 Thais Ruiz de Alda works at Dimmons around the topic of digital commons, coordinating the participation of the research group at Sharing Cities and Ciutat Oberta, Biennal de pensament. Lawyer & sociology postgraduate, eternal student of digital fields & social change. In the digital scope since 1999, playing different roles: from communication teacher to chief digital strategist and managing director, digital rights and digital comms activitst, webdoc producer. Linked to different digital International Foundations. Mara Balestrini is a Human Computer Interaction (HCI) researcher and a technology strategist. She is the CEO of Ideas for Change, a think tank advising cities, businesses and institutions on impact innovation. Mara’s work sits at the intersection of civic technology, data, co-creation and Action Research. She has authored over 20 publications on these subjects and coordinated projects such as Making Sense EU, Bristol Approach and #DataFutures. 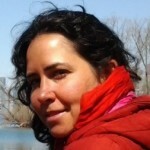 Mara is also a co-founder of SalusCoop, the first Spanish cooperative for citizens’ health data. Mara earned a PhD in Computer Science from the Intel Collaborative Research Institute on Sustainable Connected Cities (ICRI-Cities) at University College London (UCL). She also holds a BA in Audiovisual Communications and a MSc in Cognitive Systems and Interactive Media. She is Senior Faculty at the IAAC and a visiting lecturer at the the Royal College of Art (RCA). 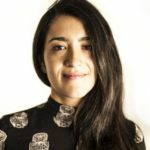 Her work has been awarded at ACM CHI, ACM CSCW, Ars Electronica, among others, and featured in international media such as the BBC, The Guardian, The Financial Times and El País. Bruno Carballa Smichowski holds bachelor’s and master’s degrees in Economics (Universidad de Buenos Aires, Université Paris XIII) and is currently finishing his PhD at Paris XIII University. He works as Data Economics and Collaborative Economy Expert at Chronos. 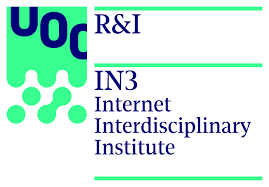 He is also Faculty affiliate at the Internet Interdisciplinary Institute (IN3) – Open University of Catalonia, where he works as a member of the DIMMONS (Digital Commons) research group. He is a fellow of the Commons Network as well. His main research topics are the economics of data, the business models and the governance of open data and data commons and the collaborative economy. His latest publication is “The value of data: an analysis of closed-urban-data-based and open-data-based business models“, first working paper of Science Po’s Cities and Digital Technology (“Villes et Numérique”) chair. 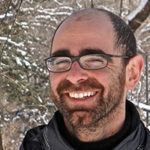 Sergi Frías Hernández is the director of Coboi, a Social Innovation Lab at Sant Boi de Llobregat, woring on how the Quadruple Helix social innovation model can contribute to generate able ecosystems to adapt to the coming socioeconomic paradigms and which paper can social innovations labs play in the definition of these new collaborative ecosystems. Previously he has worked as consultant and researcher in different public and private organizations as: Generalitat of Catalonia – Cultural Dept. Office, Catalan Institute of Cultural Industries (ICIC; today called ICEC), D’Aleph or McKinsey. Also he has been involved in artistic collectives as Parashuts Studio or Thinkbiosis, specialized in media projects as a film director in different multidisciplinar artistic projects. Nowadays, he is lecturing Tools for Cultural Change at Istituto Europeo di Design- IED for Visual Communication Degree students and he is opening new academic collaborations with ELISAVA- Barcelona School of Design and Engineering (Design for City Making project – DxCM, lead by Ezio Manzini), Tecnocampus-UPF Foundation and Open University of Catalonia- UOC. 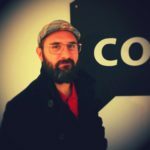 Sergi Frías is a Political Scientist (UPF); postgraduate in International Economy Relationships (UB), Filmmaking (URLL) and Contents Creation for New Audiovisual Media (UOC) and specialized in Social Entrepreneurship by Copenhaguen Business School (CBS). 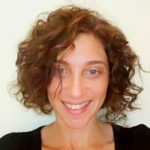 Paola Imperatore holds a postgraduate in International Relations to the Department of Political Sciences at the University of Pisa with a thesis on environmental conflicts and forms of protest practiced by local communities. On these same issues, she has realized a research training to the Department of Political Sciences (Pisa) and she holds different conferences, in Italy and in U.K. Actually she is a research assistant, interested to the local/urban conflicts and to the model of political and social relationships based on non-hierarchical and partecipatory approach that social movements try to practice. Recently she has joined to the Dimmons research team. Susana Martín Belmonte is an economist, researcher, author and activist. While devoting most of her professional career to e-business, Susana is committed to the field of monetary reform, monetary and financial innovation, and complementary and alternative currencies. Her works include independent research into the true nature of the monetary and financial system and its impact in the real economy, in the environmental sustainability and in income and wealth inequality. Currently, she works for the Barcelona citizen currency project in the B-MINCOME EU project, led by Barcelona city council where she is responsible for the monetary model, the legal viability and the technology of the system. Susana has been an e-business professor in the Citius Master’s Degree (UAM), and she has taught complementary currencies in the Smart Cities Master’s Degree (UdG) and has authored different publications and reports in the field. Manel Rebordosa PhD candidate in the Program of the Information Society and Knowledge at the Internet Interdisciplinary Institute (IN3) at the Open University of Catalonia (UOC) with the research project «Speeches and practice of technological sovereignty in sub-saharan Africa. Open Source and Free Software from development perspective», directed by Ismael Peña-López. Free-Software and Open Source master from UOC & Social Anthropology degree from UAB. Consultant in development & education for global citizenship projects with AntroPoTIC.cat. He has a long experience in development & humanitarian aid fields. Núria Reguero Jiménez is a journalist and Dimmons researcher specialized in culture/communication policies, commons and social movements. In her PhD (2017) she analyzed community media’s governance and collective action (it was supervised by Mayo Fuster and Joan Subirats). 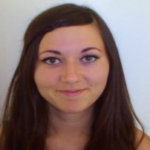 She’s currently working at Escola de l’IGOP and is member of the Xarxa d’Economia Solidària. She was board member of the Community Media Forum Europe (2008-2011) and coordinator of the Unesco Chair in Communication InCom-UAB (2006-2014). She is also involved in grassroots initiatives on agroecology, collaborative consumption, and coops. 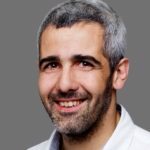 Marc Rocas Royo is currently Associate Professor in Strategic Management at University of Barcelona, and Study Abroad Program’s Professor at Fundació Universitat Autònoma de Barcelona. His current research interests are the Sharing Economy, the Blockchain, and their related systems of governance. He has previously researched about Cultural Intelligence and Cross-Cultural Management, fields in which he has recently published a book chapter about Cultural Intelligence and Creativity. He also works as freelance management consultant specialized in Diversity Management. He previously worked as Country Manager for a Swedish startup. He holds a Master’s Degree in the Information and Knowledge Society and a Telecommunications Engineer’s Degree, among others. He always tries to combine the technical, social and business perspectives for approaching his fields of research from enriched points of view. Natalia Rodríguez holds a degree in Graphic design (2007) and Industrial design (2010) at the Jorge Tadeo Lozano University of Bogotá – Colombia. She is undergoing a Master of Sociology: social transformation and innovation at the University of Barcelona. She has experience in the design of participative tools and methodologies for collaborative projects, that invites reflection and visualizes other ways of doing things in different contexts. 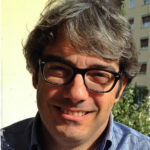 Guido Smorto is Full Professor of Law at University of Palermo (Italy) and Faculty affiliate at Internet Interdisciplinary Institute (IN3) – Open University of Catalonia, where he works as Member of Dimmons (Digital Commons) providing his expertise on the regulation of sharing economy. As International Visiting Professor he taught several times in U.S.A. (Fordham School of Law) and Japan (Nagoya University) and was “Professore Visitante” in Brazil (Università Oeste de Santa Catarina). His latest articles focus on the regulation of the platform economy, with a special focus on EU law and on its impact on cities. On these topics, beside scholarly works and non academic articles, he published a Report on behalf of EU Commission, a Research paper for the EU Parliament, and contributed as an expert to the 2017 European Parliament Resolution on the collaborative economy. Elsa Soro is faculty member at Ostelea School of Tourism and Hospitality. She holds a PhD in Sciences of Language and Communication (University of Turin, Autonomous University of Barcelona). She has been working as adjunct professor in Semiotics and Media at Autonomous University of Barcelona and at Istituto Europeo del Design (IED). She has been involved as contract researcher in several international research projects on tourism and cultural heritage. She has recent experience as strategic adviser and board member at different ECoC (European Capital of Culture) candidate cities and as a consultant for the Strategic Plan for Tourism 2016-2020 for the City of Barcelona. 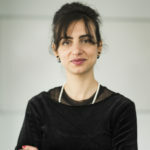 She is currently collaborating with other research groups such as IDITUR (Ostelea School of Tourism and Hospitality), The Research Group on Territorial Analysis and Tourism Studies-GRATET (University of Tarragona), and Centro Interdipartimentale di Ricerca sulla Comunicazione – CIRCe (University of Turin). Núria Ferran-Ferrer, Jessica Agnel, Maura Lerga, Elisabeth Roselló & Eva Estevan.